This week’s list of data news highlights covers April 6-12, 2019, and includes articles about AI helping choose locations for electric vehicle charging stations and an AI robot learning how to use tools in novel ways. 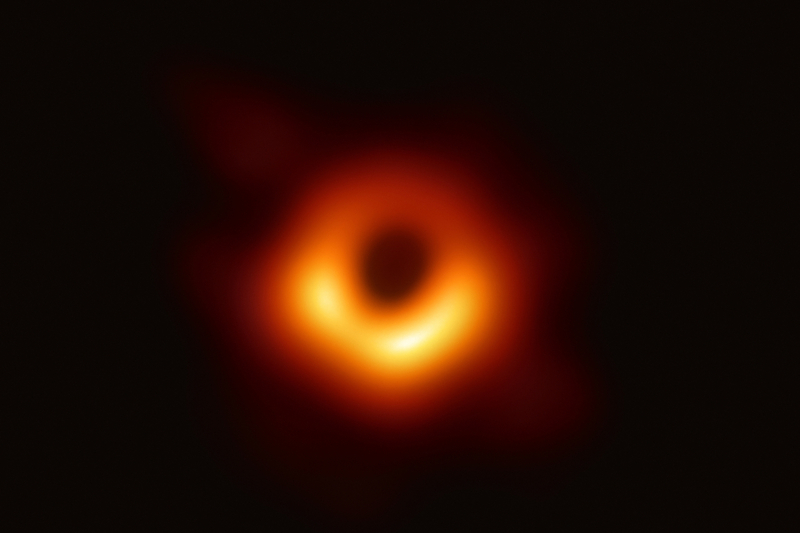 Event Horizon Telescope, a project that creates a global network of telescopes, produced the first image of a black hole using an algorithm that combined data from eight different telescopes. Due to the black hole’s distance from Earth, researchers would need a telescope the size of Earth to be able to collect enough light to make a full picture of a black hole. The algorithm, which a team of researchers from MIT, Harvard University, and the Smithsonian Institute created in 2016, solves this problem by combining data from the eight telescopes to fill in gaps in the picture. Ford has analyzed more than 1 million kilometers of driving data to identify the optimal locations to place charging stations for electric vehicles in the UK. Ford collected the data by fitting 160 customer vehicles with recording devices, aggregating more than 500 million data points over more than 15,000 combined days of vehicle use. Ford analyzed this data to see where vehicles traveled as well as where they parked and for how long to determine locations for charging stations. Researchers from Stanford University have developed a neural network that can help find illegal dumping of waste by scanning satellite images for concentrated animal feed operations (CAFOs), which keep animals in confined areas and require a permit to dump waste into a waterway. The Environmental Protection Agency estimates that roughly 60 percent of CAFOs do not have permits to dump waste, and the neural network has already found 589 previously unknown operations in North Carolina by analyzing publicly available satellite imagery. Researchers from MIT, IBM, and DeepMind have developed an AI program called a neuro-symbolic concept learner (NS-CL) that combines deep learning and hard-coded knowledge to increase the ability of the system to perform new tasks on novel data relating to computer vision and semantic language parsing. The system has multiple neural networks that learn by analyzing images and paired questions and answers about the images. The researchers also programmed the system to understand concepts such as “objects,” “object attributes,” and “spatial relationship,” which helps NS-CL answer new questions without requiring significant training data. Facebook has used AI to create population density maps of Africa to help guide disaster relief efforts, and the maps have already helped coordinate a measles vaccination campaign in Malawi. Creating population density maps of Africa is difficult to do manually because of the continent’s large census tracts that include regions of more than 100,000 square miles. Facebook automated the process by teaching an AI system to recognize buildings in satellite imagery, and Facebook trained the system on data from OpenStreetMap, an open-source mapping project. Facebook has publically released the maps to help inform similar disaster relief efforts. Researchers from Google and the University of California, Berkeley have developed an AI robot that can figure out novel ways to use tools. The robot consists of a robot arm, camera to help the robot see, and a neural network to help the robot learn, which it does through experimenting and watching the actions of humans to get an understanding of cause and effect. The researchers also provided the neural network data from previous robot experiments, and the robot started using items in surprising ways, including using a water bottle to sweep objects across a surface because of the bottle’s shape and size. Researchers from MIT, Stanford University, and Toyota have developed a machine learning system that accurately predicts how long lithium-ion batteries will last. The researchers trained the system on data related to the life cycles of 124 commercial batteries and found that the system could predict cycle lives, which is the number of charge and discharge cycles a battery goes through before it only has 80 percent of its original storage capacity, for 91 percent of lithium-ion batteries. The complexity of lithium-ion batteries make predicting their battery life difficult, but this system can help optimize future batteries by modeling their degradation over time. A team of researchers led by NASA developed an AI system to predict ultraviolet radiation when a satellites’ sensor stopped working. The satellite, called the Solar Dynamics Observatory, helps NASA study the sun’s impact on weather and an inability to account for atmospheric changes stemming from ultraviolet light can cause satellites to fall out of orbit. The AI system uses data from the satellites’ remaining sensors, including measurements on the sun’s magnetic activity, to predict ultraviolet radiation with 97 percent accuracy. Wing, a subsidiary of Alphabet, has received regulatory approval to launch a commercial drone delivery service in three Australian suburbs. Wing’s autonomous drones will deliver small goods, such as coffee, medicine, and groceries, and can fly Monday through Friday from 7 AM to 8 PM and on Sundays from 8 AM to 8 PM. Before this approval, Wing had delivered 3,000 packages as part of a trial in Australia. Researchers from MIT have developed RoCycle, an AI robotic arm that sorts recycling. The robot differentiates between paper, plastic, and metal objects by squeezing objects with a sensor-laden grabbing arm to determine their size and stiffness, which can indicate composition. The robot sorts stationary materials with 85 percent accuracy and sorts materials moving on a conveyor belt with 63 percent accuracy.